The ICM-1500 offers a cost-efficient solution for professional users as well as an entry level for starters. With the ICM-1500 series, which has been developed and manufactured by Innovative Card Systems, cards can be fixed on to individual carriers simply. High Productivity. 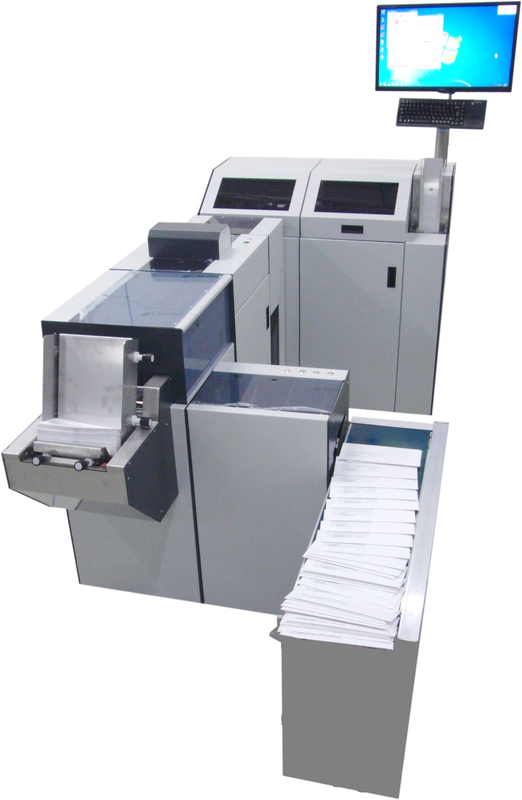 This powerful and productive system processes up to 1.900 cards per hour. Folding Technologies. Combined with our ICF-2000 card folders, the ICM-1500 provides a variety of different folding technologies (Z-Fold and half-fold) and additional inserts in different formats. Availability. The robust engineering and design stands for 24/7 availability and low maintenance costs. Price/Performance. Looking at price, performance, functionality and flexibility, the ICM-1500 offers an outstanding return of investment and capital spending protection. A4, US-Letter or US-Legal, 80-120gr.